The EUR/USD currency pair keeps moving inside a narrow range, thus indicating that the situation at the market is very unstable. Currently we can see the formation of the “triangle” pattern, we should expect the pair to move downwards to the pattern’s lower border. After the price breaks the patter, we should expect the start of the descending movement into the area of 1.4205. But if the price breaks the level of 1.4505, this case scenario will be cancelled. Pound keeps moving exactly according to the forecast. At the moment we can see the formation of the descending symmetrical pattern with the target in the area of 1.6172. One can consider selling the pair with the tight stop during the test of the channel’s upper border. But if the price breaks the channel and leaves it, this case scenario will be cancelled. 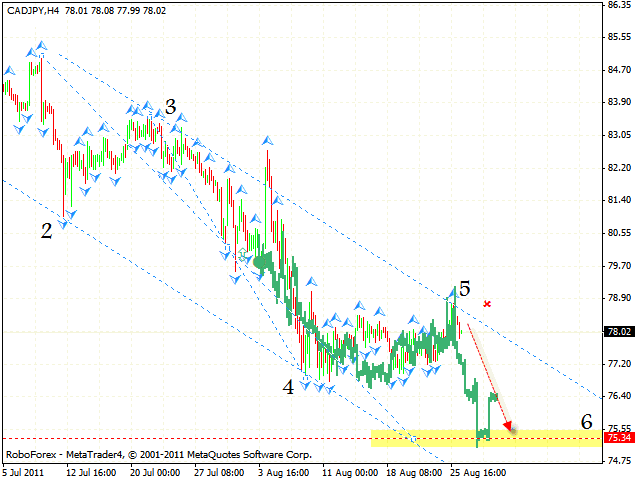 The CAD/JPY currency pair is moving inside the descending channel. Judging by the current price structure we should expect the pair to fall into the area of 75.34. 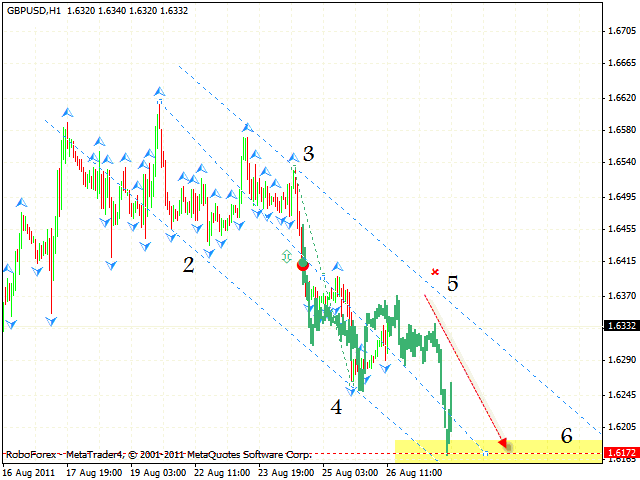 Right now the price is near the channel’s upper border, one can try to sell the pair with the tight stop. But if the price grows higher than 78.90, this case scenario will be cancelled. 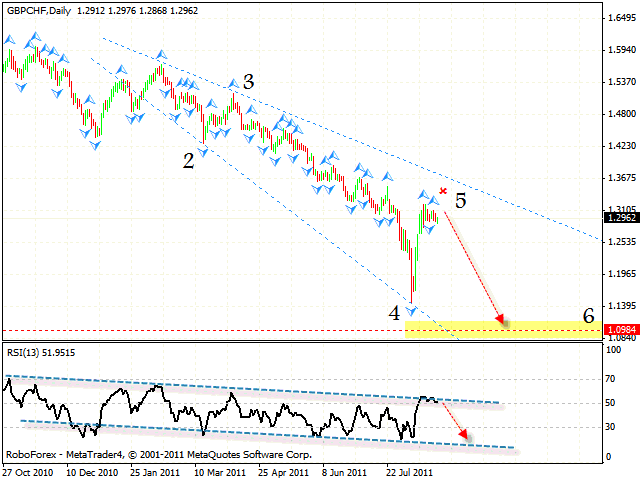 After a strong correction, the GBP/CHF currency pair is not falling down. 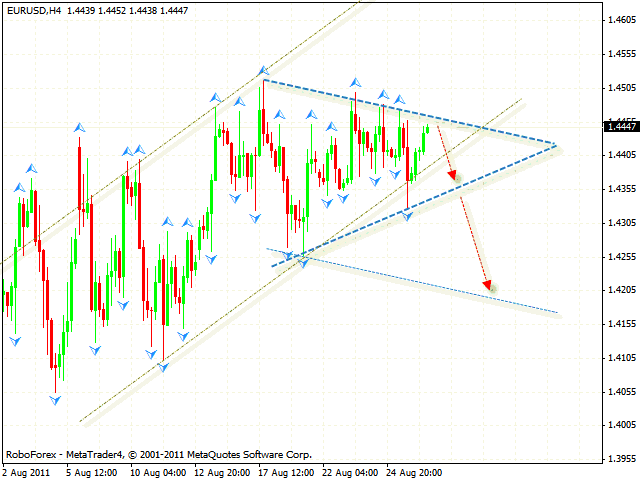 At the moment we can see the formation of the descending pattern with the target in the area of 1.0985. One can try to sell the pair at current prices. The price testing the trend’s descending line at the RSI is an additional signal to sell the pair. But if the price reaches a new local maximum at the level of 1.3105, this case scenario will be cancelled.